The month of May is filled with times of celebration and completion on so many levels! It is indeed a busy month. I typically give my Youth dancers a summer break from dance ministry during the months of June and July; however, I do make myself available for dance mentoring! Summer is a great time to block off time for the biblical study of dance and to brush up on choreography tips for the next season. God has been dealing with me concerning preparation. Be sure to invest in your dance ministry by studying to show yourselves approved as workmen understanding how to rightly divide God’s word concerning the dance. It is well worth your time and energy to study as well as maintain the physical aspect of your dance ministry. 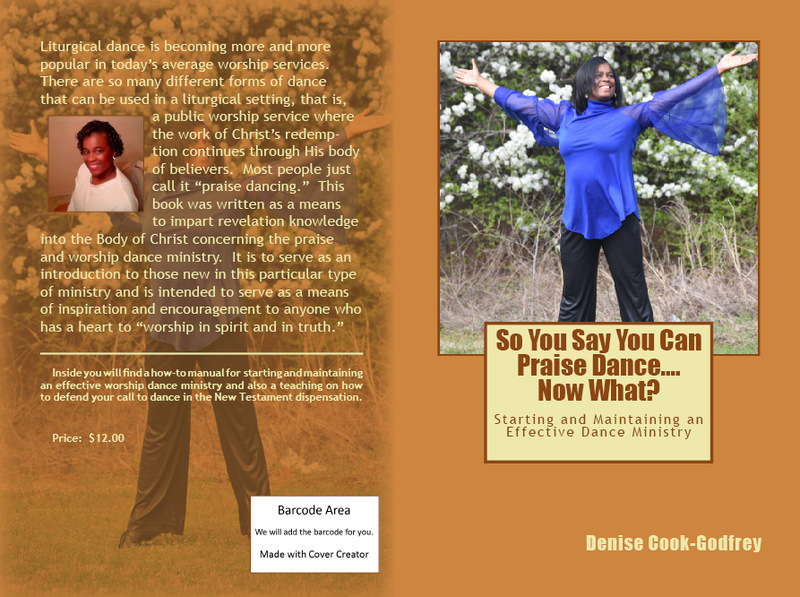 Pick up my book: “So You Say You Can Praise Dance-Now What?” on Amazon or click the link on this website to receive an autographed copy!